It is no secret that managing a fully-deployed security system could be a challenging (and expensive) operation to properly manage — and it becomes increasingly difficult to oversee as businesses expand to multiple locations and surveillance needs evolve. The good news is, security professionals can revamp, simplify and even save resources spent on security systems with the help of innovative hybrid cloud technologies that are built to scale with the demands of any business. 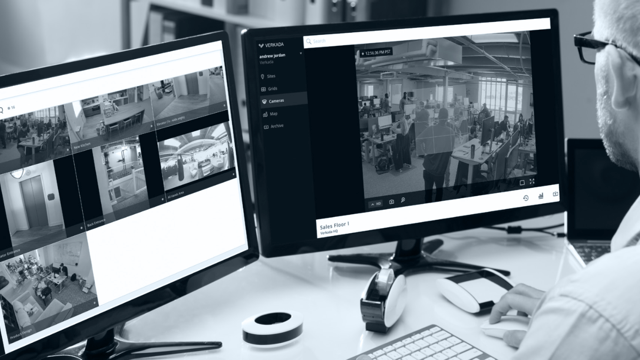 In this webinar, we'll present new technology so easy that everyone benefits — IT, Facilities Management, Operations, Loss Prevention, Safety, Management, Administration and others responsible for physical security at their organization. Security buyers and sellers need each other, but the relationship has become contentious. Security professionals are trying to thwart attackers, not security vendors. How do buyers get the most out of a partnership with a security vendor? And what are effective ways to discover new solutions that are right for your business? - What’s So Difficult About Buying/Selling Security Products? - How and When Do You Trust a Security Vendor? - When Does a Vendor Become a Partner? - Could Being a Good Customer Improve Security?